You've bested creepers, traveled deep into caves, and maybe even gone to The End and back-but have you ever transformed a sword into a magic wand? Built a palace in the blink of an eye? Designed your own color-changing disco dance floor? In Learn to Program with Minecraft, you'll do all this and more with the power of Python, a free language used by millions of professional and first-time programmers! Whether you're a Minecraft megafan or a newbie, you'll see Minecraft in a whole new light while learning the basics of programming. 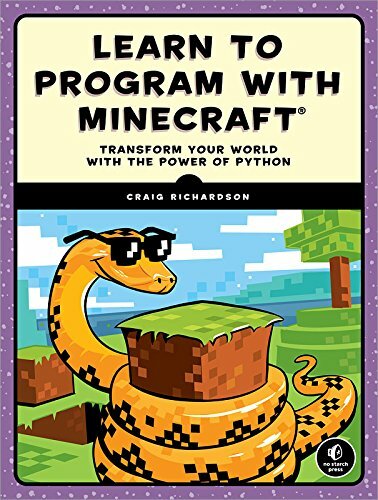 Sure, you could spend all day mining for precious resources or building your mansion by hand, but with the power of Python, those days are over!